Often described as a state of mind in which you can experience total immersion and involvement in what you’re doing, where things happen effortlessly and time disappears, flow is what athletes often call “being in the zone”. 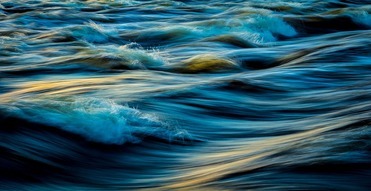 Psychologist Mihaly Csikszentmihalyi describes the mental state of flow as "being completely involved in an activity for its own sake. The ego falls away. Time flies. Every action, movement, and thought follows inevitably from the previous one, like playing jazz. Your whole being is involved, and you're using your skills to the utmost." Luckily, flow isn’t simply restricted to elite athletes. We can all achieve flow during a number of activities such as a hobby, exercise, or even work. But what exactly does it take to achieve a state of flow? Csikszentmihalyi tells us that flow is most likely to occur when your skill level is perfectly matched to the challenge at hand. This means a runner may experience flow during a run that they have prepared well for. So practice, experience and expertise in something will mean it’s more likely you will achieve flow whilst doing it in the future. When you have a specific purpose for a task or challenge – like our runner winning their race – you’re more likely to achieve flow. It’s not just the goal that helps reach a state of flow, it’s also engaging in these task for your own sake as well as having specific goals in mind. Giving the task at hand all of your concentration and focus will help a state of flow. Distractions or trying to do more than one thing at a time will disrupt any chances of a flow state happening. Setting aside a time and space that allows you to work on the task, turning off your phone/TV/music etc will help prevent you being distracted or interrupted. We’ve already said having a goal is important, but flow also depends on you enjoying the journey not just focussing on the end result. Allowing yourself to live in the moment and not worrying about the outcome will make a flow state more achieveable. We all have things about our job that we're not so keen on but there's usually something about our job that we love, one task or challenge that we really immerse ourselves into and that makes us happy. It's the thing that gives us the most job satisfaction. That is when we're in a state of flow. Try to do more of that if you can and you'll find being in flow is a more regular thing. Flow is an experience which isn’t just pleasurable, it can also have other benefits as well. Research suggests that the benefits of flow include increased skill development and improved performance. This increase in skills and performance can in turn boost your self-esteem and confidence around not only those tasks, but trying new challenges too.